Arce Immigration Law, P.A. and Visa Franchise look forward to hosting an event on Thursday, September 6 at 5:00pm in Via Giuseppe Luigi Lagrange 1, Rome, Italy 00197. The event is geared towards Italians seeking to immigrate to the U.S. through the E-2 investor visa. Please register to receive details before September 3. Carmen Arce and Giorgio Polacco, Arce Immigration Law, P.A. Who is Arce Immigration Law? Arce Immigration Law, P.A. specializes in Immigration & Nationality Law. We represent individuals, families, employers, and employees throughout the U.S. and abroad in all their immigration matters. We work closely with our clients, guiding them through the immigration process each step of the way from the initial consultation to file preparation and case resolution. The Firm is directed by Attorney Carmen Arce, who is board certified by the Florida Bar as an expert in Immigration & Nationality Law. Carmen Arce e Giorgio Polacco, Arce Immigration Law, P.A. Cos’è Arce Immigration Law, P.A.? Visa Franchise guida gli investitori nell’identificazione e nell’analisi delle migliori opportunità di investimento fatte su misura per loro. 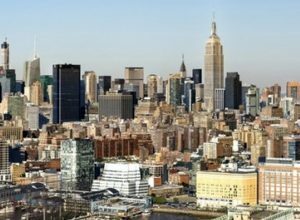 Lo studio si concentra su Franchising che si qualificano per i Visti E-2 ed EB-5. Visa Franchise consiglia clienti da tutto il mondo e li aiuta a trovare le migliori opportunità di Business che soddisfino gli obbiettivi finanziari e di immigrazione dei propri clienti. Visa Franchise prende in considerazione la capacità, esperienza e la misura dell’investimento dei clienti per assicurare che possano scegliere la migliore opzione per loro. 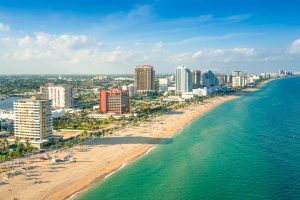 Visa Franchise ha sede a Miami, Florida con uffici anche nel resto degli Stati Uniti e nel mondo. Visa Franchise looks forward to hosting a webinar with Office Pride's Franchise Development Manager Rich Helms on Thursday, July 19 at 8AM (Los Angeles) / 11AM (New York). The webinar is geared towards foreign nationals seeking to immigrate to the U.S. through the E-2 investor visa. Please register to receive the webinar details before July 17. Office Pride is recognized as one of the most advanced and admired full-service commercial cleaning / janitorial franchises in the building services industry with one of the highest franchisee owner satisfaction rates, according to Franchise Business Review, and lowest customer turnover rates, according to the Building Services Contractors Association International (BSCAI). We are a nationwide, 25 year-old, faith-based, commercial cleaning franchise that equips people to build a profitable business that honors God. Our franchisees provide top-quality routine janitorial services and total floor care delivered in a professional and consistent way, through our commitment to honesty, integrity, and hard work in the small- to medium-sized building market. Carretera Federal 57 México-Querétaro #1085 Col. Quintas del Marqués. Vidal Law Firm es un despacho de abogados especializado en derecho migratorio y corporativo con una práctica legal enfocada en la representación de inversionistas y empresarios extranjeros que buscan invertir, hacer negocios y vivir en Estados Unidos. Con oficinas en San Diego, California y Tijuana, México, nuestro despacho está estratégicamente localizado en una de las zonas fronterizas más dinámicas en todo el mundo. Nuestro fundador, Francisco Vidal, es un abogado licenciado por la barra de abogados de California, es miembro activo de la Asociación de Abogados Migratorios de Estados Unidos, y es un experto en los programas de visas de inversionista E-2 y de residencia permanente EB-5. Firma contable y fiscal fundada en 1993 por su Director C.P. Gustavo Fimbres. Establecida con el objetivo de propocionar servicios a empresas que llevan a cabo actividades mercantiles con México y Estados Unidos. Desde un inicio Fimbres Consulting Group, Inc formó su práctica fiscal con la finalidad de atender las obligaciones fiscales en Estados Unidos de personas físicas y morales tanto domésticas como extranjeras. Derivado de Fimbres Consulting Group, Inc se establece en el año 2014 FV Business Solutions, Inc por sus Co-Fundadores C.P. Gustavo Fimbres y C.P. Edgar Villafaña con el próposito de prestar servicios de contabilidad y nómina en Estados Unidos. Costo del Servicio de valet parking $50.00 por vehículo. Pandev Law и Visa Franchise канят инвеститори – потенциални имигранти в САЩ, да вземат участие в нашето събитие, което ще се проведе в събота, на 21 април, в гр. Pandev Law и Visa Franchise канят инвеститори – потенциални имигранти в САЩ, да вземат участие в нашето събитие, което ще се проведе в събота, на 21 април, в гр. София. Акцентът ще бъде върху това как българските бизнесмени и инвеститори биха могли да имигрират в САЩ чрез франчайз инвестиция. Pandev Law е имиграционна правна кантора, която се е посветила на предоставянето на висококачествено представителство в сферата на имиграционното право. Чрез офисите си в Ню Йорк, Атланта и Чарлстън, ние сме позиционирани изключително добре, за да представляваме ефективно както индивидуални, така и корпоративни клиенти в САЩ и по света. Специализирани сме в предоставянето на имиграционни решения за инвеститори, мултинационални организации, малки фирми, академични и изследователски институции, спортисти и хора на изкуството, а както и физически лица. Нашите имиграционни адвокати са заемали длъжности в престижни правителствени агенции, като Министерство на правосъдието в САЩ, Служба за имиграционни спорове. Ние сме изключително подходящи да се справим и с най-сложните казуси в сферата на имиграционното право. Нашата международна бизнес практика оказва съдействие при бизнес формиране в САЩ, преглед и изготвяне на договори, трансгранични транзакции и офшорни бизнес формации. Нашите адвокати предоставят консултации на няколко езика, включително: руски, немски, унгарски и български. Ние, във Visa Franchise, специализираме в подпомагането на чуждестранните граждани да намерят най-добрата франчайз инвестиция, която да ги квалифицира за инвеститорска виза E-2, L-1 или EB-5. Нашата цел е да опростим процеса, като намерим и анализираме най-добрите франчайзинг инвестиции за нашите клиенти и семействата им, въз основа на собствения им уникален профил. Стремим се да разберем инвестиционните цели на клиентите си, желаната от тях локация, индустриите, предмет на интереса им, а както и размера на инвестицията, сред редица важни фактори, с цел да открием най-добрите инвестиционни възможности за тях и за техните семейства. A Visa Franchise, especialista em investimentos em franquias nos EUA, em parceria com a Arce Immigration Law, P.A. sedia webinar sobre como imigrar para os EUA através de investimentos. Saiba mais sobre opções de franquias e processo de imigração. Tudo para que você possa residir legalmente no exterior! O link para ter acesso ao Webinar será enviado para todos os inscritos alguns dias antes do evento. A Visa Franchise, especialista em investimentos em franquias nos EUA, sedia evento sobre como imigrar para os EUA através de investimentos. Saiba mais sobre opções de franquias, obtenção da cidadania italiana, processo de imigração e tributação. Tudo para que você possa residir legalmente no exterior. Visa Franchise is a proud silver sponsor of AILA's 19th Annual New York Chapter Symposium on December 15 at the New York Marriott Marquis. We look forward to networking with some of the best immigration attorneys focused on U.S. investor immigration. Reach out to info@visafranchise.com or 1-888-550-7556 if you would like to schedule an informative session on our offering during, after or before the conference. Davies & Associates and Visa Franchise welcome potential U.S. immigrant investors to participate in our event on Friday, October 6 in Mumbai. We will highlight how Indian businessmen and investors can immigrate to the U.S. through a franchise investment. There will be a morning session starting at 9AM and an afternoon lunch session starting at 1PM. At Visa Franchise, we specialize in helping foreign nationals find the best franchise investment that will qualify them for an E-2, L-1, or EB-5 investor visa. Our goal is to simplify the process by finding and analyzing the best franchise investments for our clients and their family based on their own unique profile. We seek to understand our client's investment goals, desired location, industries of interest, and investment size, among a variety of important factors, in order to find the best investment opportunities for them and their family. We have been described as "one of the best immigration law firms in the world". We exclusively practice immigration law and our experienced USA immigration lawyers rank amongst the best immigration lawyers in the markets they serve. Our policy is to offer the best and most individualized client service and immigration solutions available. Our USA immigration lawyers make themselves available to clients seven days a week and return client calls and e-mails 365 days a year. We are full-service immigration firm dedicated to helping individuals of all backgrounds and businesses of all sizes. We assist major financial organizations, top universities and research institutes, business of all sizes and families and individuals. ABD’de franchise yatırım uzmanı olan Visa Franchise, Reinhardt LLP Hukuk firması ve Yilmaz Hukuk Bürosu ile beraber “Yatırımlarla ABD'ye göç etme” konulu bir etkinliğe sizi davet ediyor. ABD’de franchise yatırım uzmanı olan Visa Franchise, Reinhardt LLP Hukuk firması ve Yilmaz Hukuk Bürosu ile beraber “Yatırımlarla ABD'ye göç etme” konulu bir etkinliğe sizi davet ediyor. Yasal olarak ABD’de ikamet edebilmeniz için gereken Franchise seçenekleri ve göç süreci hakkında daha fazla bilgi edinmek için etkinliğimize bekliyoruz. Legal and Fiscal Process for Turkish National Investing and Moving to the U.S.
We are a family owned medium sized business law firm. With 4 partners and 6 associates we are a dynamic team of 10 lawyers assisting specifically small and mid-sized foreign direct investors investing in Turkey and Turkish nationals investing abroad. Business law, corporate law, real estate and labour law are our main fields of expertise. It is not only corporations we are assisting, we do a great deal of work for individuals as well. A Visa Franchise, especialista em investimentos em franquias nos EUA, em parceria com o escritório de advocacia Fragomen Worldwide e com o escritório de tributação e contabilidade H&CO sedia evento sobre como imigrar para os EUA através de investimentos. Saiba mais sobre opções de franquias, processo de imigração e tributação. Tudo para que você possa residir legalmente no exterior. 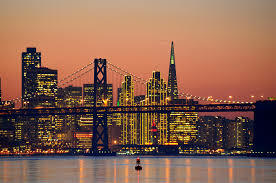 Visa Franchise is looking forward to participate in the EB5 Investors Magazine conference in San Francisco. Reach us at info@visafranchise.com to schedule a one-on-one meeting! EB5 Investors Magazine is pleased to announce that our second domestic event of 2017 will take place at the Westin St. Francis in the gorgeous city of San Francisco, California. On July 27-28, we will host a gathering of top migration agencies, immigration attorneys, EB-5 industry professionals, regional centers, and developers at the 2017 San Francisco EB-5 & Investment Immigration Convention. 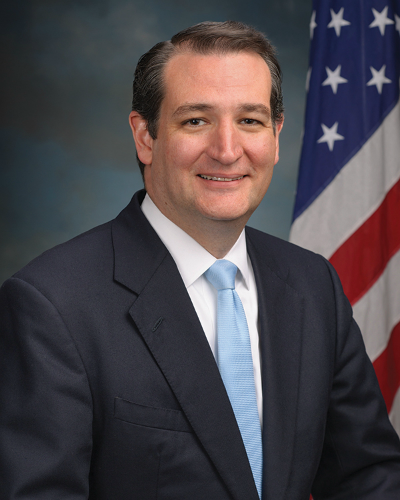 The convention will feature educational panels moderated by experienced EB-5 professionals, workshops for attorneys and regional centers, business exhibitions and special guest speeches--including a luncheon keynote speech from United States Senator Ted Cruz. We invite anyone interested in learning about the EB-5 program and increasing their industry exposure to join us at the 2017 San Francisco EB-5 & Investment Immigration Convention. Beginners and more experienced professionals alike will convene, network and discuss EB-5 industry updates in one convenient location. Who Will Attend the 2017 San Francisco EB-5 & Investment Immigration Convention? Connect with EB-5 industry influencers and experienced professionals. Network with representatives from global migration agencies. Gain knowledge from beginner and expert educational panels. Showcase your business to a high-profile gathering of EB-5 industry stakeholders. To purchase tickets for this private event, please visit our Eventbrite page. EB5 Investors Magazine events are designed to foster collaboration in the EB-5 industry. Our 2016 New York EB-5 Convention welcomed more than 700 attendees, 73 sponsors, and migration agents from around the globe. With our 2017 conference calendar featuring events in Vietnam (March) and Beijing (May), and prior events held in locales such as Shenzhen, Guangzhou, and Shanghai, we have established a strong network of international attendees. Our past keynote speakers have included U.S. Sen. Rand Paul (R-KY), and U.S. Representatives Bob Goodlatte (R-VA), Will Hurd (R-TX), Darrell Issa (R-CA), Hakeem Jeffries (D-NY), Jared Polis (D-CO), Dana Rohrabacher (R-CA), Ed Royce (R-CA), and Lamar Smith (R-TX). Click here to register here! Visa Franchise is sponsoring and speaking at the Latin America EB-5 Investment Expo taking place in Miami on May 25th. Patrick Findaro, Commercial Director of Visa Franchise, will speak after the key note address on How to Immigrate to the U.S. through a Franchise Investment. This expo will help you learn about common issues facing investor immigrants such as tax implications and planning involved in moving to the US, education opportunities for clients' children. You'll be able to network with real estate professionals, financial professionals, and immigration attorneys. Visa Franchise is proud to be a speaker in Henley & Partner's Southeast Asia Global Citizenship Seminars. Visa Franchise is proud to participate in Henley & Partner's Southeast Asia Global Citizenship Seminars. Visa Franchise is the trusted advisor for foreign nationals who qualify for the E-2, L-1 or EB-5 visa and would like to own a U.S. franchise, with a minimum investment amount of $150,000 (E-2/ L-1) or $500,000 (EB-5). There are over 5,000 franchise brands and 750,000 locations in the United States, which can be overwhelming for a prospective investor. We match your skill set, desired location and investment size to secure the best franchise opportunity. We support clients seeking an owner-operated franchise all the way to up to multi-unit operations. At the seminar, we will be discussion franchise investments that qualify for U.S. investor visas (including the E-2 investor visa). International experts on the citizenship-by-investment programs in the Caribbean and Europe as well as residence-by-investment in the UK, Europe, the UAE and Asia will also be presenting. The focus will be on benefits of Caribbean and European citizenship for private clients, with specialist insights into the Grenada and Cyprus citizenship-by-investment programs. Register today for our event in Jakarta, Indonesia on Friday, April 28 from 8h30 to 12h00 at the Fairmont Hotel. Register today for our event in Kuala Lumpur, Malaysia on Thursday, April 27 from 11h30 to 15h00 at the Mandarin Oriental. 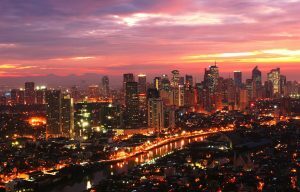 Register today for our event in Manila, Philippines on Tuesday, April 25 from 11h30 to 15h00 at the Shangri-La Makati Hotel. 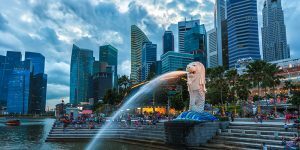 Register today for our event in Singapore on Monday, April 24 from 08h30 to 12h00 at the Fullerton Hotel. Entenda sobre maneiras de investir nos Estados Unidos e ter a oportunidade de obter vistos temporarios ou permanente para residencia nos EUA. Aprenda sobre oportunidades de investimento em fundos estruturados de equity. A Calixsan Capital oferece um portfolio de opções de investimentos no mercado americano. Saiba como diversificar seu portfolio de investimentos em diferentes classes de ativos para reduzir o risco geral de investimento e aumentar o desempenho do seu portfólio. Conheça uma variedade de oportunidades de investimentos alternativos no setor imobiliário através de debt/equity em imóveis privados.